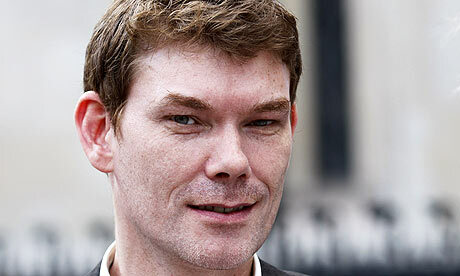 The application by hacker, Gary McKinnon, for permission to appeal to the Supreme Court has been refused. The appeal related to the refusal of the Divisional Court to quash the extradition of McKinnon (who has Asperger’s Syndrome) to the United States for hacking into among other computers, the Pentagon’s military network. McKinnon brought claims challening his extradition by way of judicial review under Articles 3 (prohibition of torture) and 8 (privacy) of the European Convention of Human Rights. Permission for bringing a judicial review was granted in respect of the Article 3 claim but refused in respect of the Article 8 claim. The full hearing on the judicial review on the Article 3 claim was held in July before Stanley Burton LJ and Wilkie J and the claim refused. The judges also then invited further submissions on the application for permision for judicial review on the Article 8 claim, despite its earlier refusal. McKinnon sought to appeal (since this was a criminal matter) directly to the Supreme Court. This required the lower court to certify that “that a point of law of general public importance is involved”. However, today, permission to appeal was refused on the Article 3 claim. In addition, permisison to bring the judicial review was refused on the Article 8 claim. McKinnon’s lawyers are reported as saying that they are seeking to take the case to the European Court of Human Rights. It is also reported that the Home Secretary has agreed to stay the extradition for at least two weeks to allow the case to proceed although it is not clear what progress will be made at the Strasbourg court in that time. Leave a reply on "Hacker sent packing"